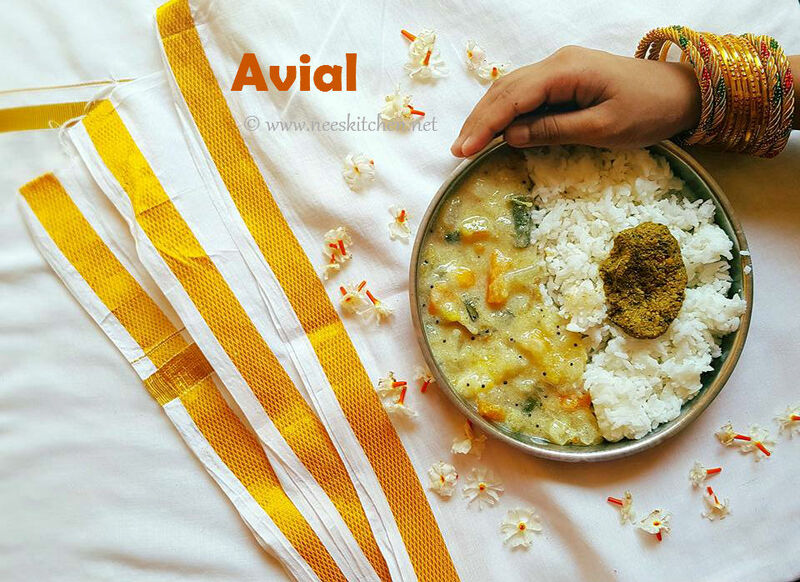 Avial needs no introduction and is a common recipe during festivals and special days in Tamil and Kerala households. Vegetables like Yellow pumpkin, chayote, potato, pumpkin, raw banana, beans, carrot and drumsticks, yams, are cooked with yogurt, coconut and seasonings. 1. To begin making ‘Avial’, start cutting the vegetables length wise Parangikai / Yellow Pumpkin, Chow Chow / Chayote, Poosanikai / Pumpkin, Carrot, Beans, Drumstick, Plantain & Potato. Refer Video. 2. Soak 2 tsp rice with just enough water for a minimum of 20 minutes. This can be done in parallel when the vegetables are getting cooked. 3. Take a pressure cooker and add all the above vegetables, along with curry leaves, salt & 1 cup water. 4. Close the pressure cooker lid and pressure cook up to 1 whistle in medium flame. After turning off the gas, do not open lid for 20 minutes. 5. While the vegetables are getting cooked in the pressure, prepare the ground coconut paste. Grind together coconut, soaked rice with water and green chili to a smooth paste. 6. Once the pressure is released add the ground coconut masala and cook along with the vegetables in medium flame for 10 minutes. 7. Once the vegetables are boiling well, switch off the gas and add 1 cup of yogurt. 8. Take a small heavy bottom vessel and add coconut oil. 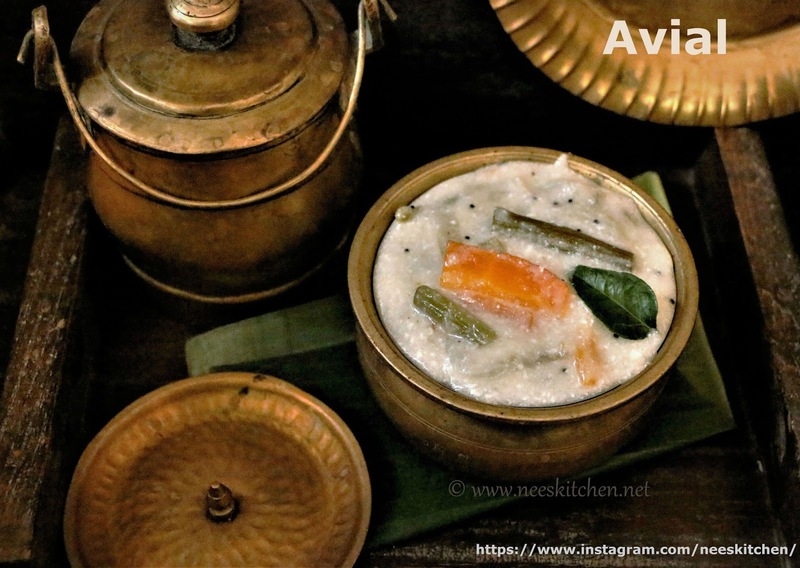 Once the oil is hot, add mustard and as the splutter, transfer the tempering into cooked avial. 9. Combine well and serve with hot rice.